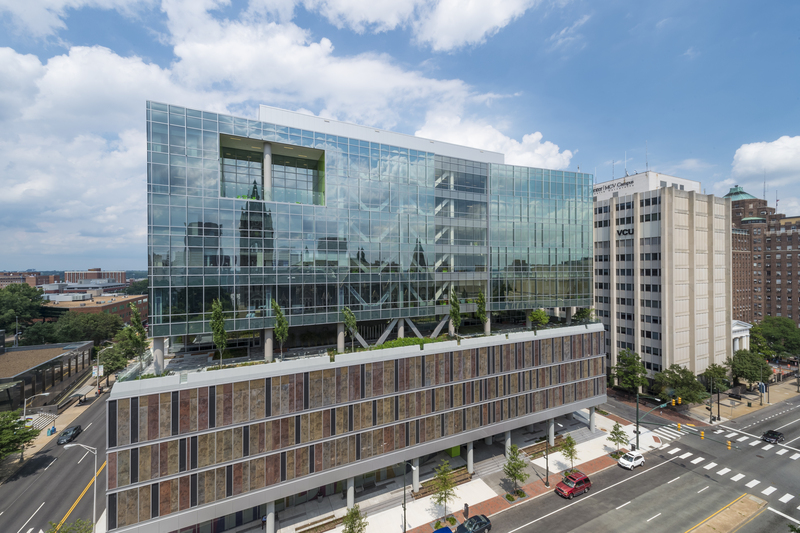 Children’s Hospital of Richmond (CHoR) at VCU’s Children’s Pavilion is a 640,000-square-foot, $200 million pediatric facility that houses more than 40 outpatient clinics, lab testing services, radiology and same-day surgery. The Children’s Pavilion is now the most advanced pediatric outpatient facility in the region. 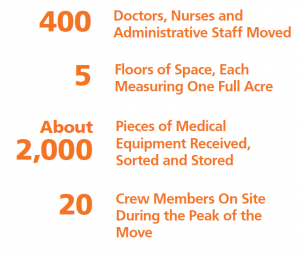 Prior to the move, the departments that now reside in the Children’s Pavilion were spread over the health system’s 52.3-acre campus and their Brook Road Campus, three miles away. Through our integrated service model approach, our team, in collaboration with our partners at CHoR, developed a customized move plan specific to the organization’s unique needs and challenges. Our collaborative approach to commercial moves. This collaborative approach streamlined the Children’s Pavilion’s move, minimizing downtime and increasing efficiency. During our planning session, the project manager, who is dedicated to overseeing the success of the move, became acquainted with the client and their unique needs. The project manager served as a single point of contact for the client and for our crew members on-site. The Children’s Pavilion move was two-fold: moving administrative staff and moving outpatient clinics. 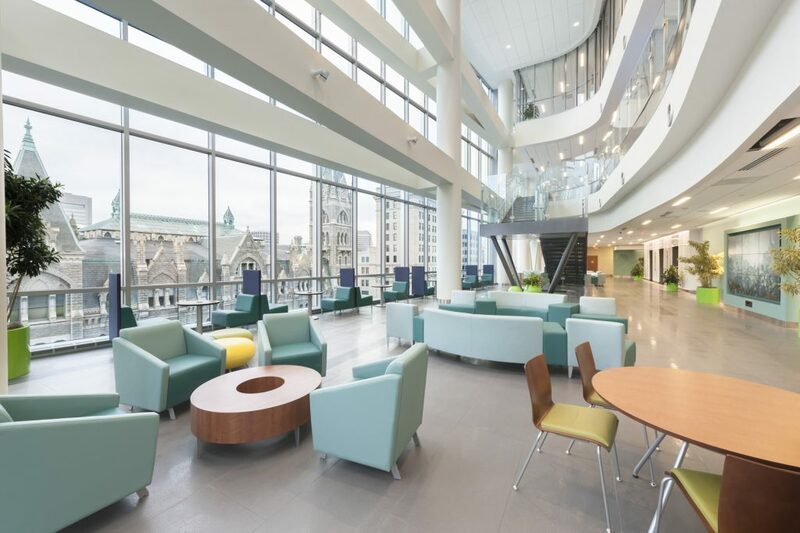 More than 300 administrative staff and faculty members were moved from various locations across the VCU Medical Center campus onto one floor of the building over the course of five days. Each staff member was given six crates to pack any items that needed to be moved to the new building and those items were transported and delivered by Hilldrup crew members. Clinics were moved more quickly to minimize the impact on patients. Once clinics were shut down, most were moved within 24-48 hours. The last clinics to move were shut down on Friday, packed up on Saturday and were open for business on Monday morning. “The day of the move, Hilldrup basically brought a football team. I was amazed with how many people there were and how fast it went,” said Suzanne Britt, Director, CHoR’s Children’s Pavilion. More than 40 clinics were transitioned from existing hospital space spread throughout the VCU Medical Center and Brook Road Campus into one central location, the Children’s Pavilion. Hilldrup’s full-time project manager coordinated with CHoR staff to prepare an estimated 400 staff members for the big move. The full-time project manager provided on-site supervision during the move. While the Children’s Pavilion was being built, Hilldrup’s Richmond warehouse served as a receiving, sorting an assembly area for new furnishings, supplies and hospital equipment. “We valued what Hilldrup crew members were able to bring to the table, their energy and positive attitude. They were always happy to be there to help, the moving team took great pride in how well they were able to execute everything,” Britt said. What if i start typing in the box?